Margaret Kelly became RE/MAX CEO in 2005, capping a series of leadership positions she has held since joining the organization as a financial analyst in 1987. She was named vice president in 1992 and president in 2002. 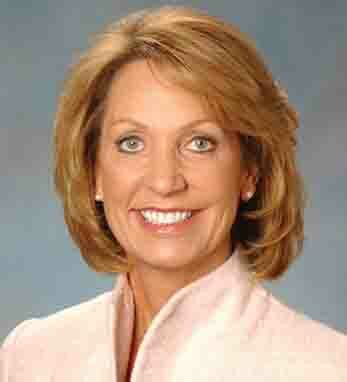 In January 2010, Kelly was appointed to the Board of Directors of the Denver Branch of the Federal Reserve Bank. She has been honored by Inman News as one of the Top 100 Most Influential Real Estate Leaders of 2009 and by Realtor magazine as one of Real Estate’s 25 Most Influential Thought Leaders in 2006. She speaks before industry groups around the U.S., has served as CEO guest anchor on CNBC’s “The Call,” and has been quoted by The Associated Press, Bloomberg, Reuters and other media outlets. She grew up in the Detroit area and earned a BBA in finance and accounting from Walsh College. A breast cancer survivor, Margaret is an advocate of the RE/MAX national sponsorship of the Susan G. Komen Race for the Cure® series. Margaret finds time to enjoy a very active life with her husband, John and their two sons. She is a third-generation Irish American.